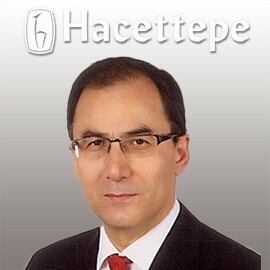 Prof. Kutluk served as CEO of Hacettepe University Hospitals from 2008 to 2011. Graduated from Hacettepe University Medical School Ankara-Turkey in third rank among graduates in 1981. Postdoctoral fellow and Fulbright scholar at MD Anderson Cancer Center USA (1992-94). Member of SIOP, ASCO, AACR, AAP, International Children’s Center. He had served as a leading healthcare executive at Hacettepe University; Vice-Director of Children’s Hospital (1997-1998), the Director of Oncology Hospital (1999-2007), Director of Children’s Hospital (2000-2007) and President of Institute of Child Health (2000-2004), President of Institute of Oncology (2004-2008), Board Member of Institute for Health Sciences (2000-2007), Member of Senate (2000-2011) & CEO of Hacettepe University Hospitals (2008-2011). He also has a long term experience on NGO management; “UICC-International Union for Cancer Control - Board Member – Geneva - Switzerland (2008 - 2012)” “President of Turkish Association for Cancer Research and Control, Ankara-Turkey (2004-2012)”, “President of European Cancer Leagues-ECL – Brussels-Belgium (2009-2011)”, “President of Turkish National Pediatric Society (2009-2012)”, “President of Turkish Pediatric Oncology Group (2011-2013)”. His experience on healthcare management during the last 15 years brought him to the top of the Hacettepe University Hospitals as CEO between 2008-2011. He has been working at Department of Pediatric Oncology, Hacettepe University at the moment. He is named as honorary FAAP by American Academy of Pediatrics in May 2014. He is the President of “UICC, Union for International Cancer Control” for the term of 2014-2016.